This is part of a series on calibration targets. Today we are having a look at various calibration targets around the world. 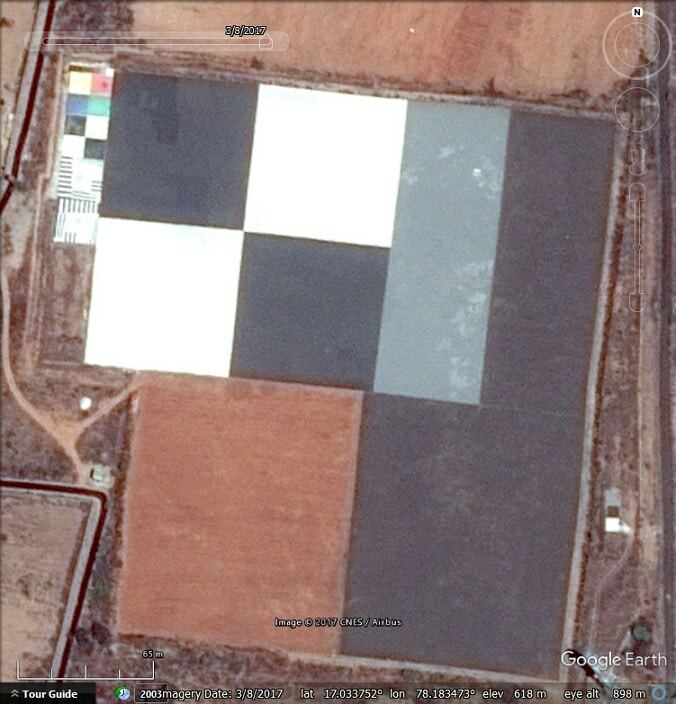 This site in India is the only calibration site we know of that uses colours. 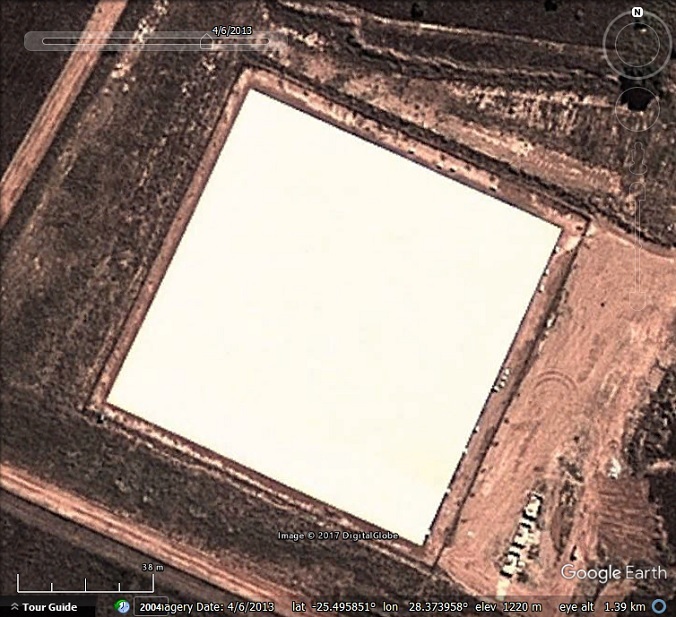 This site near Zuunmod, Mongolia appears to have been repainted several times. We don’t know why the angle was changed slightly in the last repaint. Next we have a more complex set of patterns at Mount ShongShan, China. One reference states that there are also two rows of squares near this site, each extending over 2 km but we failed to find them. The Sjökulla Aerial Test Range, Finland was probably designed primarily for aerial photography, but can also be used by satellites. Designed to be exactly 100 m on a side. We don’t know why it wasn’t aligned with the cardinal directions. There are presumably more around the world, but we failed to find a collection listing them all. Also, in many cases temporary patterns are used, using tarpaulins or, in the case of thermal imaging, metal sheets. You can even buy specially made patterns. 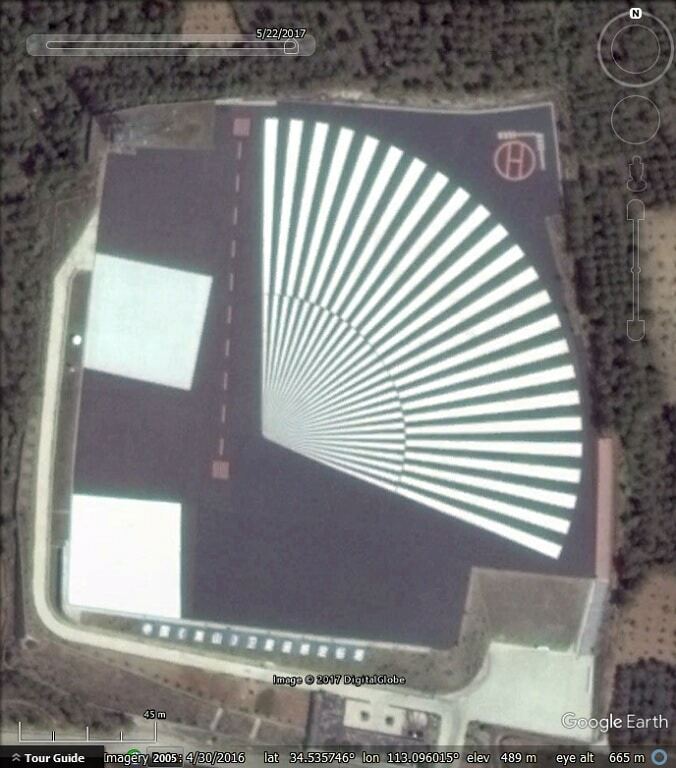 Zuunmod, Mongolia: Concrete square on which the pattern is painted – 120 m. Painted four-square pattern – 70 m.
Four-square pattern, Salon-de-Provence, France: 60 m.
Four-square pattern, Peng-Hu, Taiwan: 60 m.
White square near Dunhuang, China: 115 m.
Four-square pattern near Boutou, China: 96 m.
White square, South Africa: 100 m.
Four-square pattern, Stennis Space Centre, USA: 50 m.
Four-square pattern, CalVal facility, India: 140 m.
Also useful for calibrating satellites are a number of sites around the globe whose altitude, colour and temperature have been carefully measured. They are typically dried up lake beds in deserts as such areas tend to be very flat and have a consistent temperature for a given time of day and day of year, and have minimal cloud cover. You can find a collection on the USGS website that has been collaboratively measured by many countries around the world. We have included it in the KML below. To find the above locations, download this KML file . 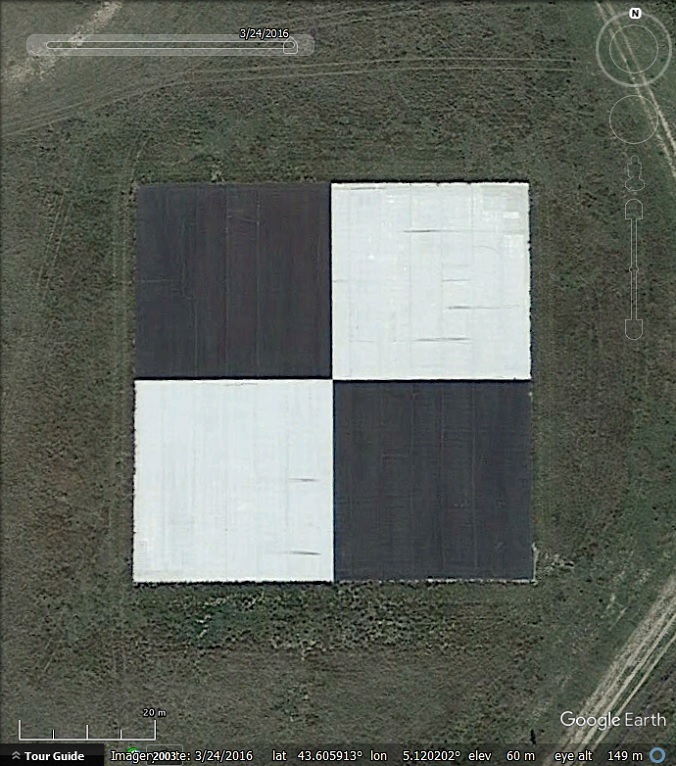 The post Calibration Targets 5: Around the World appeared first on Google Earth Blog.